I'm usually known as Halifax's Dog Photographer... but I may have to adjust that to Halifax's Pet Photographer because I've been meeting some wonderful pets lately who aren't dogs! This past weekend I got to meet a hedgehog for the first time! His name is Nibbler. He was a sweet but nervous little dude, but I wanted him to know that I was there to be his friend. No sudden movements or loud noises - he's not fond of those. He seemed pretty comfy in my hands and stuck his little nose out to sniff around, and he was brave enough to show me around his home! 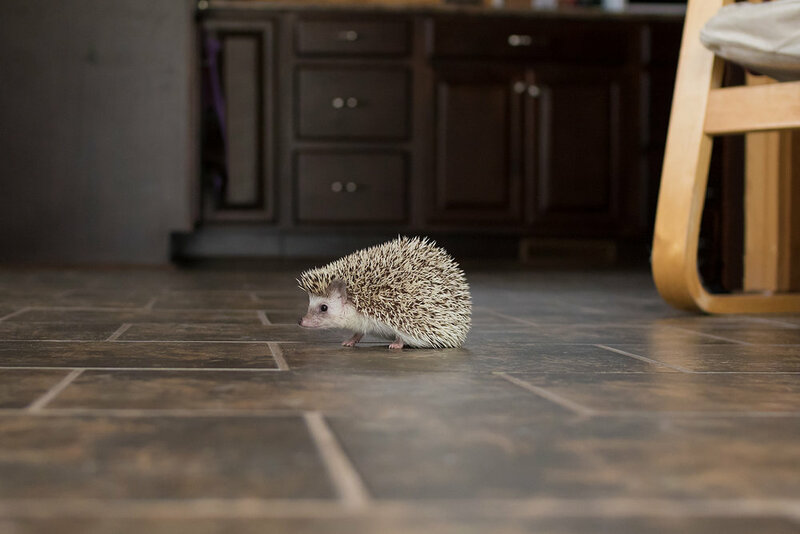 Since he didn't know about the photoshoot ahead of time (must have forgotten to put it in his hedgie agenda), he forgot to use the bathroom before he left his cage. So we did have a little incident on the table cloth during the session! Hopefully he's not too embarrassed about that. Sorry for bringing that up again, Nib. Here are my favourite images from his session!